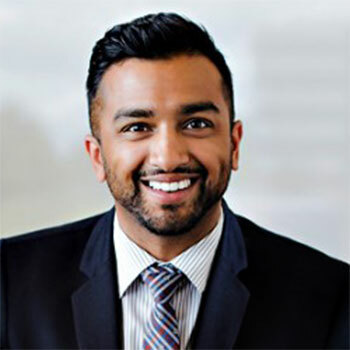 Sheldon Pereira, director of University Relations at Wilfrid Laurier University, is one of two local voices that will take part in the Canada 150 Community Leaders Network. The appointment, made by City of Waterloo Mayor Dave Jaworsky, connects Pereira and Kelly McManus of the University of Waterloo as representatives of the City of Waterloo with 800 other community leaders from across the country. The leaders form a nation-wide network that will help communities throughout Canada stay informed about Canada 150 events — while bringing local voices and perspectives to Canada Day celebrations throughout 2017 and beyond. “Kelly and Sheldon are recognized as community builders who bring energy, creativity and enthusiasm to everything they do. I know they will both do an outstanding job representing the City of Waterloo,” said Jaworsky in a City of Waterloo news release. Pereira, who graduated from Laurier and was project coordinator for the Congress of the Humanities and Social Sciences when Laurier hosted it in 2012, became Laurier’s director of University Community Relations in 2015. In his role, he builds partnerships and enhances Laurier’s relationships with stakeholders at all levels of municipal government and with key community leaders. He is also responsible for institutional ceremonies and events, and managing Laurier’s Toronto office. Serving as a Canada 150 community leader has special meaning for Pereira. He and his family, originally from India, moved to Canada from Bahrain in 1996. As part of the Canada 150 Community Leaders Network, Pereira will be a voice for Waterloo as Canadians reflect on the past and look toward the future. He will promote Waterloo’s Canada 150 activities and perspective across the nation-wide network, while promoting the four overarching themes of Canada’s sesquicentennial anniversary: diversity and inclusiveness; reconciliation with Indigenous communities; environmental sustainability; and youth involvement. The Canada 150 Community Leaders Network is a partnered initiative between the Federation of Canadian Municipalities and the Government of Canada. For more information on the Canada 150 Community Leaders network, please visit the FCM website. Follow this network of local leaders on Twitter using #Muni150 and on Facebook.